Upon hearing that March 1st was Peanut Butter Lover’s Day, this peanut butter lover started eagerly jotting down ideas of what to make. Though many desserts popped into mind, I wanted something “everyday” and on the wholesome side. These peanut butter oat bars fit the bill and use ingredients that I keep on hand in abundance: lightly salted peanut butter, oats, flax seeds, and good-quality lite coconut milk. 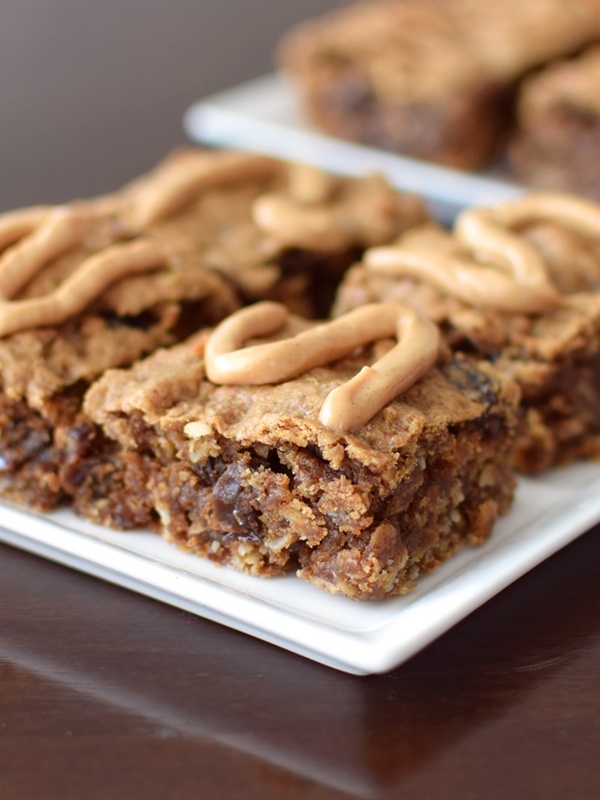 Using my dad’s favorite cookie flavor as my guide, cinnamon raisin oatmeal, I whipped up a batch of thick, chewy, and positively scrumptious squares that somehow reminded us of a Clif Bar combo (Peanut Butter meets Oatmeal Raisin) … only way, way better. Unlike Clif Bars, these peanut butter oat bars have a simple pure ingredient list, lower sugars, more nutty goodness, and are completely soy-free. I decided to experiment with a couple of drizzle options when making these peanut butter oat bars, one low sugar maple-cinnamon peanut butter icing (pictured above) and one “traditional” peanut butter icing (thickly piped below). Though they are soft and pipe-able as shown in my images, both set up when chilled, offering a little extra Clif Bar-like appeal. 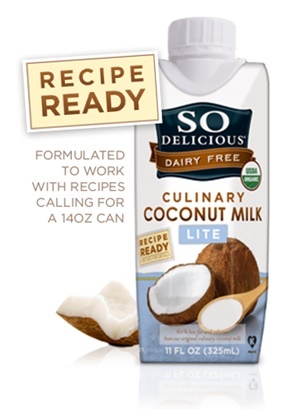 This post is sponsored by So Delicious Dairy Free and highlights the versatility of their Lite Culinary Coconut Milk, which is equivalent to light canned coconut milk, but higher quality in both ingredients and packaging (BPA-free carton with convenient resealable spout! 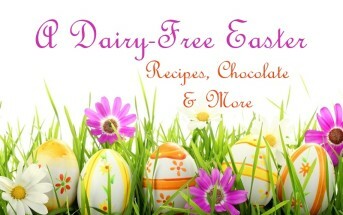 By ingredients, this recipe is dairy-free / non-dairy, egg-free, gluten-free, tree nut-free, soy-free, vegan / plant-based, and vegetarian. For peanut-free peanut butter oat bars, use almond butter (if tree nuts are okay for you) in place of the peanut butter. For nut-free, use your favorite seed butter. Keep in mind that sunflower seed butter will yield the most “peanutty” results, but it may react with the baking soda to produce a greenish hue. This is totally safe, just not the most appealing! Peanut Butter: I did use an all-natural peanut butter when creating this recipe – Trader Joe’s Creamy Salted Peanut Butter. It is a very soft peanut butter, almost a little runny at room temperature, and quite spreadable when refrigerated. 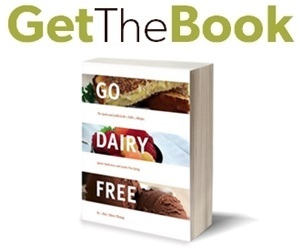 Dairy-Free Milk: Using just milk alternative or juice can make bars more muffin-like. As mentioned, I use lite coconut milk, which adds just enough liquid and richness to keep the recipe very bar-like, dense and rich. Yet it is a pure ingredient that adds less than .5 gram of fat per bar! 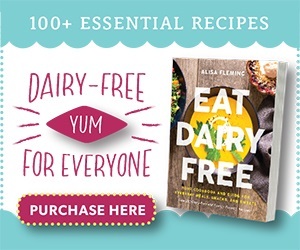 In a pinch, you could substitute coconut milk creamer or dairy-free milk beverage. Sweetener: I test baked goods with both organic brown sugar and coconut sugar, the latter produces a mellower, slightly less sweet flavor. If using coconut sugar, I recommend blending it with the oats and flax seeds into a powder and adding with the dry ingredients. Brown sugar gives a more “classic” taste. If you want to use brown sugar, but want it a little less sweet, just lightly pack the sugar. Preheat your oven to 350ºF and line an 8x8-inch baking dish (see note in post above) with parchment paper or grease and flour it. Place ¾ cup of the oats and the flax seeds in a spice grinder or food processor and whiz into flour, about 60 seconds. Add the ground oat mixture to a medium bowl with the remaining whole oats, cinnamon, baking soda, and salt. 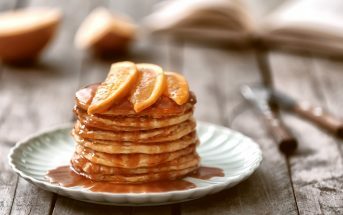 In a mixing bowl, blend the peanut butter, sugar, coconut milk, maple syrup and vanilla, with a hand mixer or by hand, until combined and smooth. Stir in the oat mixture, it should be the consistency of a thick but slightly sticky cookie dough. Fold in the raisins. Scrape the dough into your prepared baking dish, and with lightly damp hands, firmly and evenly press the mixture in. Bake for 20 minutes, or until lightly brown around the edges and beginning to pull away from the sides ever so slightly. Let cool completely in the pan on a wire rack before cutting (can even chill first). If using parchment paper, pull the bars out onto a cutting board to cut (otherwise cut in the pan). Cut into 16 bars (cut in half, cut each half in half, turn the pan 90º and repeat). They are a little crumbly to cut but actually hold together quite well, particularly if stored in the refrigerator. If opting for an icing drizzle, add one of the options below to a plastic bag and seal. If too runny, chill the icing in the baggie for 10 minutes. Snip a small corner from the bottom of the bag, and pipe the icing onto the bars as desired. 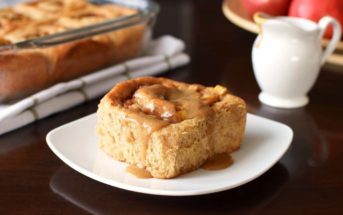 Low Sugar Maple Cinnamon Icing: Whisk together 2 tablespoons lightly salted peanut butter, 1 tablespoon coconut oil, 2 teaspoon maple syrup, ⅛ teaspoon ground cinnamon, and optionally add up to 10 drops alcohol-free stevia, to taste. Simple Peanut Butter Icing: Whisk together 2 tablespoons lightly salted peanut butter, 2 tablespoons powdered sugar, and 2 teaspoons coconut oil. These look incredible! Why purchase them when you can make them for less – and they’re more delicious! – at home? 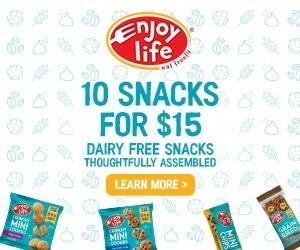 Will almond milk work for these? Or does it to muffin like? Yes, it would most likely be more muffin-like – probably still tasty though! I don’t! I’d imagine they have a fair bit of fiber though! You can calculate using a nutrition calculator online. Hi Marissa, the raisins are just an optional add-in, they aren’t blended in as a sweetener. I think they definitely need added sweetener, but it’s your choice! Would like to know calorie count for the peanut butter oat bars. Any idea? Not off the top of my head, but you can calculate it with an online nutrition website. 177 calories per bar based on my calculations, and ingredients used, through my fitness pal. A cliff bar (crunchy peanut butter) is 250 per bar. Huge difference so I’d totally recommend these over the store bought. That’s great. Thanks for calculating this Ivy! I love that these will fit in to the bariatric diet as well, due to being all natural. I am going to make these for dessert tonight. 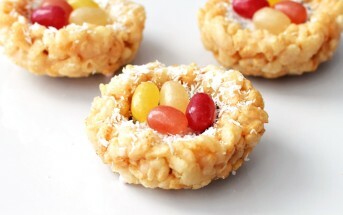 Not only do these look amazing, I LOVE that you offered lots of different substitutions. Initially, I was sad because I’m allergic to peanuts and tree nuts (and I always miss out on the yummy creations!) but then saw your note for a nut-free version. Thank you for that! Haha – it’s never too late to celebrate loving PB! I’ve never had a Clif bar because, yea, not allergy safe! But o my, these look fantastic! And I love that So Delicious lite coconut milk! I use it all the time in recipes! What a beautiful combination of ingredients.This page is just what I need!!! Thanks!!! My whole life I have loved to cook so I figured I would mesh my love for tasty cuisine with healthy eating. I found that I was able to make delicious healthy meals with all natural ingredients. These look so decadent and not dried at all like many other bar recipes I see out there. Pinning to make for sure!! These look so perfect and fudgy! Love how thick and chewy these look – a must make! I love that culinary coconut milk. I can almost taste these now – those are two of my favorite cookie flavors together, I cannot wait to try these! I’m trying to cook with less gluten these days. 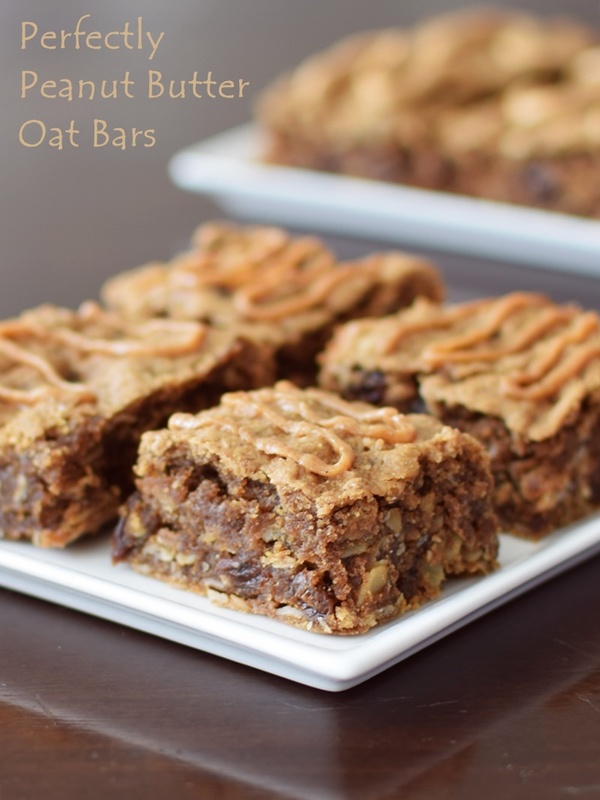 Your peanut oat bars look wonderful. Pinning and sharing! I LOVED cliff bars but their ingredient list made me stop enjoying them all the time- You’ve solved my problems! These look incredible! And so do your photos 🙂 We love peanut butter here and I am so happy no one in my family suffers from allergies. Aw shucks, thank you Kacey! Yes, we are lucky here, too – I like my PB! Thank you Susan! I hope you and your little one enjoy them!